It’s home to the biggest, best-equipped fishing fleet in Florida and is the heart of Destin, “The World’s Luckiest Fishing Village.” And, with completion of the first phase of a new boardwalk and the revitalization of HarborWalk, Destin Harbor is one of the hottest destinations on the Gulf Coast. 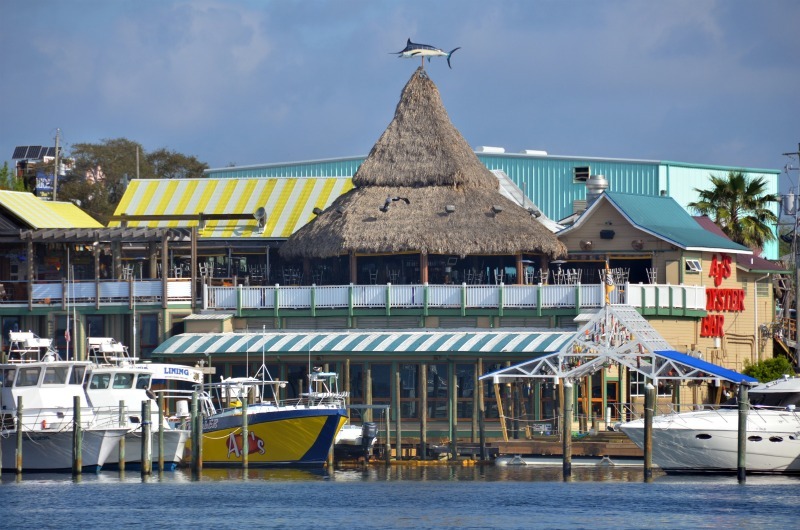 AJs Seafood on Destin Harbor is always a popular spot for family dining — as well as night-life, with live bands by their Tiki Bar. 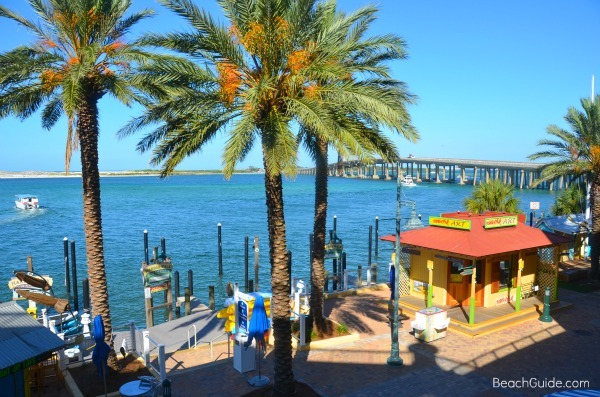 At HarborWalk Village and all around the harbor, a host of restaurants, night spots and shops are just waiting to entice visitors looking for a memorable meal or a break from sun, sand and surf. 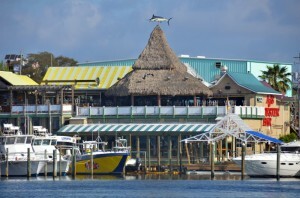 Eateries like AJ’s Seafood and Oyster Bar, Marina CafÃ©, Louisiana Lagniappe and Dewey Destin offer the freshest seafood available from local waters. Also concentrated in the area are plenty of businesses renting fishing boats, pontoons, jet skis, canoes, kayaks, scuba gear, and other water sports equipment. 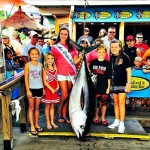 Due to a happy set of geographical circumstances, Destin Harbor has long been a mecca for fishermen. The East Pass offers easy access to both the deep waters of the Gulf of Mexico and Choctawhatchee Bay, making the harbor area the ideal spot to book a Destin fishing charter. Once in the Gulf, Destin fishermen are closer to the 100-Fathom Curve and its bounty of grouper, red snapper, amberjack, scamp, triggerfish, cobia, and other deep-water denizens than anglers anywhere else in Florida. 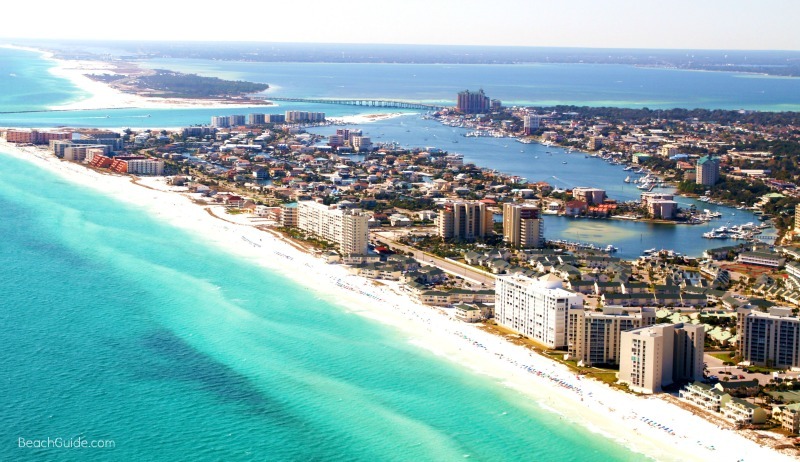 Destin Harbor is also the place to go to arrange dolphin and sunset cruises, dinner cruises, and excursions to Shell Island. Southern Staris a charter company specializing in dolphin cruises on its glass-bottom boat. Sunset Cruises offers a popular dinner cruise of the bay featuring a gourmet meal, live entertainment, and dancing. 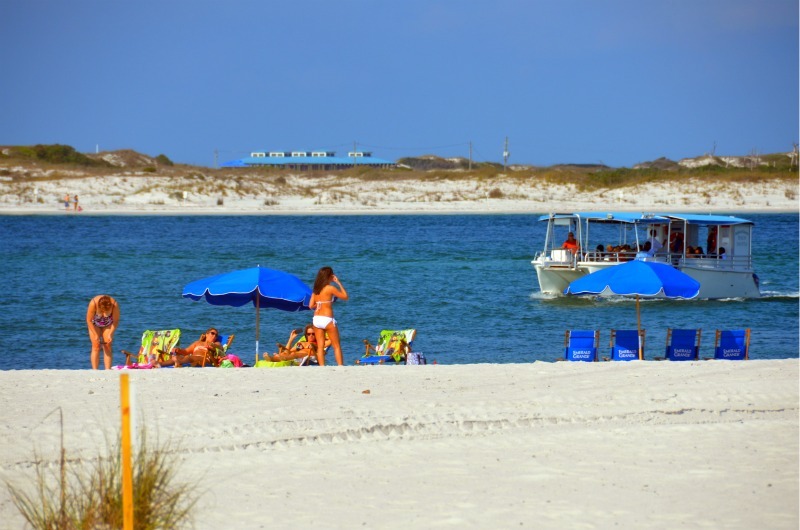 Water taxi takes guests from Destin Harborwalk to beach across the Harbor on Destin’s East Pass. There’s a party going on just about every day at HarborWalk Village, which is hosting free special events, including concerts, parades, festivals and fireworks displays, all summer long. 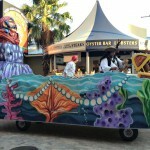 Every Tuesday is Fat Tuesday during Pardi Gras, the HarborWalk version of New Orleans’s iconic celebration. On Thursdays, the Red, White, and Blue Celebration honors local volunteers with air show and fireworks over the Harbor. And on Saturdays, the Rock the Docks concert series is going strong, back this year by popular demand. 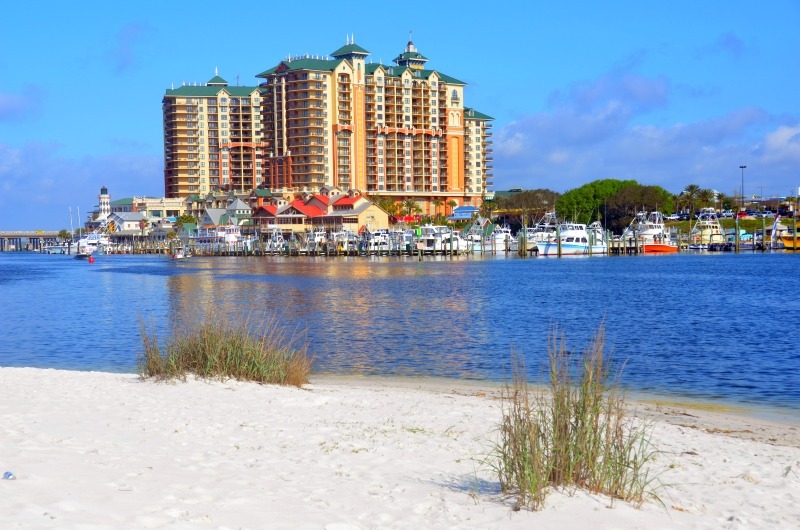 Places to stay that are close to the fun include the luxurious Emerald Grande at HarborWalk Village and the pet-friendly Inn on Destin Harbor. 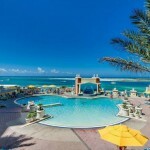 For additional places to stay in and around Destin, just click on our link for Destin vacation rentals. 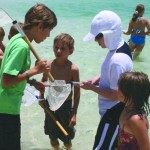 Also check out Destin Restaurants, Destin Fishing, and Destin Recreation for more things to see and do in the area. 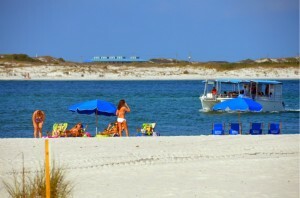 I’ve spent some time around Destin harbour and it really is an awesome place to relax and enjoy yourself. Did some serious fishing out there too. Such a great beach holiday destination, thanks fr sharing. Will be there in August, Can’t wait!